Global property company Kennedy Wilson, along with its joint venture partners AXA Investment Managers and Cain International, have bought City Block 3 in Dublin's North Docks for €113m. City Block 3 is one of the last remaining mixed-use development sites in the North Docks. It totals 5.9 acres and the site will include the development of private rented apartments and office accommodation. Kennedy Wilson will act as the development and asset manager of the property. Kennedy Wilson and AXA bought the 3.6-acre residential component of the development site through their Irish PRS joint venture, with planning permission already in place. The site is close to existing projects at North Bank and Liffey Trust which, when combined with the potential new apartments at CB3, will provide more than 650 units at this important city centre location. In a separate deal, Kennedy Wilson and Cain International, through a 50/50 joint venture, bought an adjoining 2.3-acre commercial component of the development site. 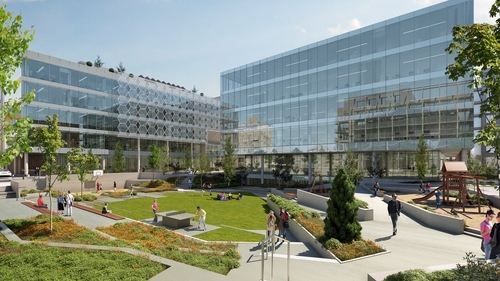 This has planning permission for over 300,000 square foot of Grade A office space. Peter Collins, President of Kennedy Wilson Europe, said that development plans for CB3 will bring the next visionary, city-centre, mixed-used campus to Dublin, following the ongoing success at the Capital Dock development on the South Docks. "We are confident in our ability bring forward this major new scheme for Dublin, given the breadth of our local development experience," he added.